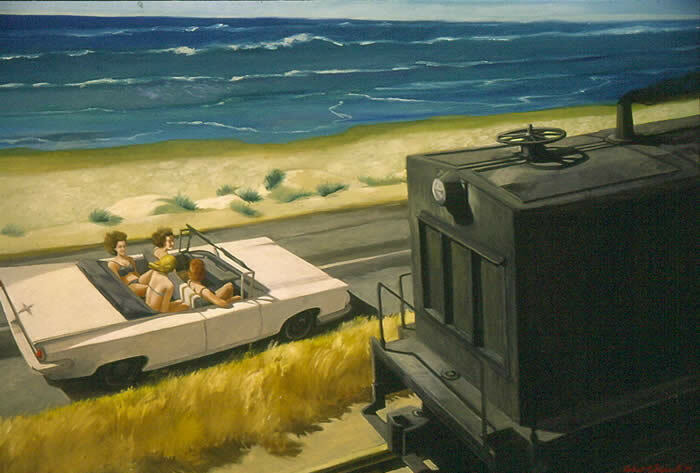 Olszewski was 27 years old and living in California at the time painted this oil on canvas which depicts the freedom of youth, four girls in a convertible, hair blowing making their way up the coast. Olszewski was 26 years old living in California at the time he painted this oil on canvas in 1971. 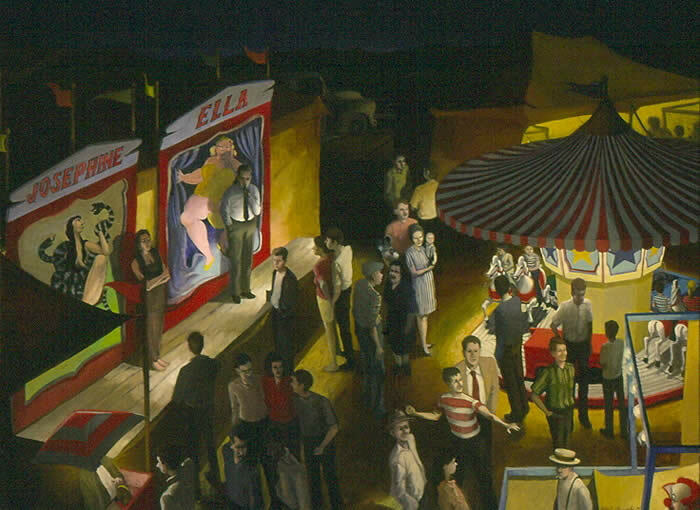 He said "When I started The Saxonburg Carnival, I was determined to achieve the sawdust atmosphere of a Midwest carnival at night." Offered as a Limited Edition of 5,000 prints. $195.00 each plus shipping and handling and if applicable CA Sales Tax.